Understanding Judaism begins with looking at significant historical events that shaped the Jewish culture and learning the Hebrew alphabet, Jewish blessings, and Jewish words and phrases. Getting a grasp on recognizing and pronouncing Hebrew words begins with the alphabet. 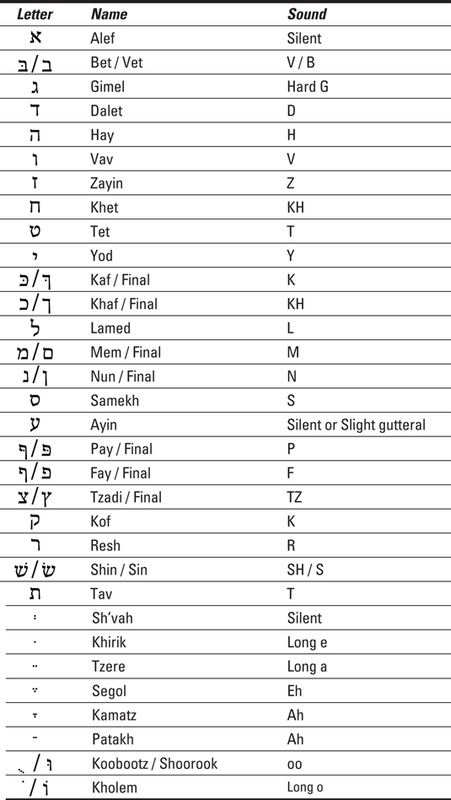 Get to know the Hebrew alphabet — the names of the letters and how to say them.